In 1954, under the "Statute of the Realm", the Netherlands, Suriname and the Netherlands Antilles (at the time comprising Aruba) became a composite kingdom. The former colonies were granted autonomy save for certain matters including defense, foreign affairs and citizenship, which were the responsibility of the Realm. In 1969, unrest in Curaçao led to Dutch marines being sent to quell rioting. 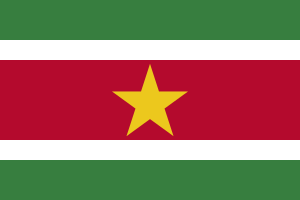 In 1973, negotiations started in Suriname for independence, and full independence was granted on November 25, 1975. Henk Arron became the first Prime Minister of Suriname. 60,000 immigrants took the opportunity of moving to the Netherlands because many feared Suriname could not survive as an independent country.